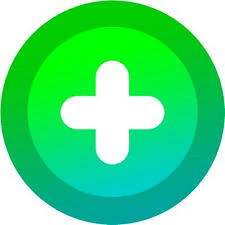 Flipgrid is a free tool that allows students to easily create and submit video responses to teacher prompts using a school laptop, school iPad, or their own personal device. Log in to your school laptop. Go directly to the Flipgrid admin page or open open Office 365 and choose Flipgrid. Use your Office 365 teacher account to log in. Flipgrid organizes content into “Grids” and “Topics.” A Topic is simply a question or prompt to which you want students to respond. You create a Grid for each learning community (typically each class), then assign topics to the grids as desired. Click “+ New Grid” to create a new grid, or edit the pre-made introductory grid already present. Name your grid, and if you wish, choose a personalized grid code and image. Click Next. For the School Email Domain, enter campbellhigh.net and click Launch my Grid. Click “All Set” to open the Grid and view/edit the list of topics. Flipgrid automatically creates a topic for “Introductions.” You can keep this topic, or you can use the buttons beside it to delete it or make it inactive. Click on “+ New Topic” to add a topic or use the pencil icon to update or customize an existing topic. If you wish to preview students’ responses before they “go live” and are visible to others, turn “Video Moderation” ON. If you do not wish for students to be able to respond to each others’ submissions, turn “Student-to-Student Replies” OFF. Topics can be duplicated to other Grids using the Actions menu. For your convenience, we also have a page of instructions for Student Access to Flipgrid. School or personal laptops: Go to Flipgrid.com or directly to the Grid URL. Personal smartphones or tablets: Students will need to install the Flipgrid app for their device. School iPads: If not already installed, open LANrev Apps, find Flipgrid, and choose Install. If this is your first time using campbellhigh.net accounts with your class, you may want to send a class roster to the Campbell Commons staff so we can verify that accounts are created for all your students. Open the Grid and choose “Share Grid” from the top menu. Make sure that “Share with Class” is selected. The Flip Code is displayed in large bold print. A Grid URL is displayed that can be copied to email, blog, etc. Buttons are provided to share directly to Google Classroom and Remind. Note that a similar set of sharing tools is available for each topic. If you add a new topic later, you can share the topic directly with your class in the same way. When you provide feedback, the student will receive notification through their campbellhigh.net Gmail account. Students can access this through their mobile devices or through the Gmail.com website. For more information, ask Ms.Blaydes or Mr. Spinks, or visit the Flipgrid Help Center.